As co-founder of Montreal’s award-winning Igloo Design, Anna Abbruzzo has worked on restaurant interiors, homes, websites, brand strategies and business cards. Furniture, though, was something she always wanted to try. Creating the perfect piece requires a deep knowledge of ergonomics, finesse with finicky materials and the ability to work with really tiny wheels. That’s why it took a full year (and countless iterations) to develop her first effort – an elegant trolley, the kind that was popular in the 1920s for serving tea or cocktails. 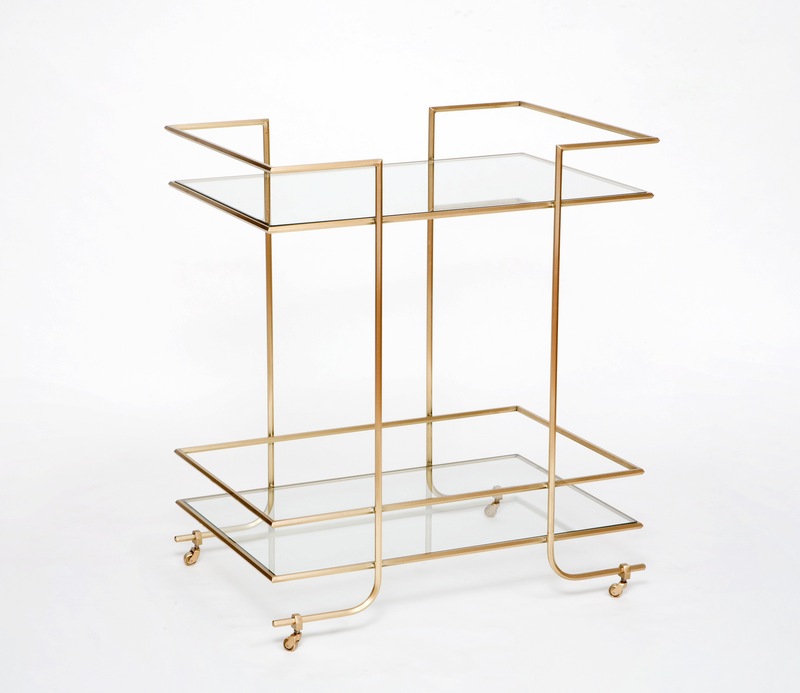 The cart is both subtle and luminous, with its sleek Art Deco lines and shimmering brass finish. $4,500. For more information, contact hello@igloodesign.ca. This piece originally appeared in the Globe and Mail on Thursday, January 17, 2013. This entry was posted in Design Spy and tagged Anna Abbruzzo, Art Deco, Bar Cart, Canadian Design, Decor, Design, Home Decor, Igloo Design, The Globe and Mail by mmhague. Bookmark the permalink.